2014 was a year of impact for the Madison startup scene. Capital Entrepreneurs member companies saw another year of record growth – the largest to date. They created 175 full time jobs, and now employ 500 full time people. Madison tech startups raised $44 million in funding in 2014. The first half of the year was led by a burst of follow-on funding deals, and the year closed with 10 companies raising rounds of $1M or more – including Propeller Health ($14.5m), EatStreet ($10.5M), PerBlue ($3M), Understory ($1.9M), Fishidy ($1.7M), StudyBlue ($1.7M), Aquamost ($1.3M), ABODO ($1.25M), Drifty Co ($1M), and Wellbe. The larger funding rounds consisted of an increasing amount of capital coming from out of state – including VC firms in Chicago, as well as the East and West coasts. The $30M state backed 4490 Ventures Fund also launched, and Nordic’s Mark Bakken started his own healthcare IT focused VC fund. In 2014, new startups were formed and new products were launched. Many startups saw strong revenue and user growth, and formed partnerships with companies large and small. Drifty’s Ionic Framework is now one of the top 50 most popular open source projects in the world. Murfie was hailed as one of the most interesting startups in the Midwest by Inc. magazine, and spun off a new company focused on providing a platform for libraries to digitize their music offerings. PerBlue launched their newest game Titan Empires that grew to 1 million players in just 3 weeks. EatStreet provided an online ordering platform for 15,000 restaurants nationwide and partnered with Yelp. Flux Mopeds launched their fully electric moped. 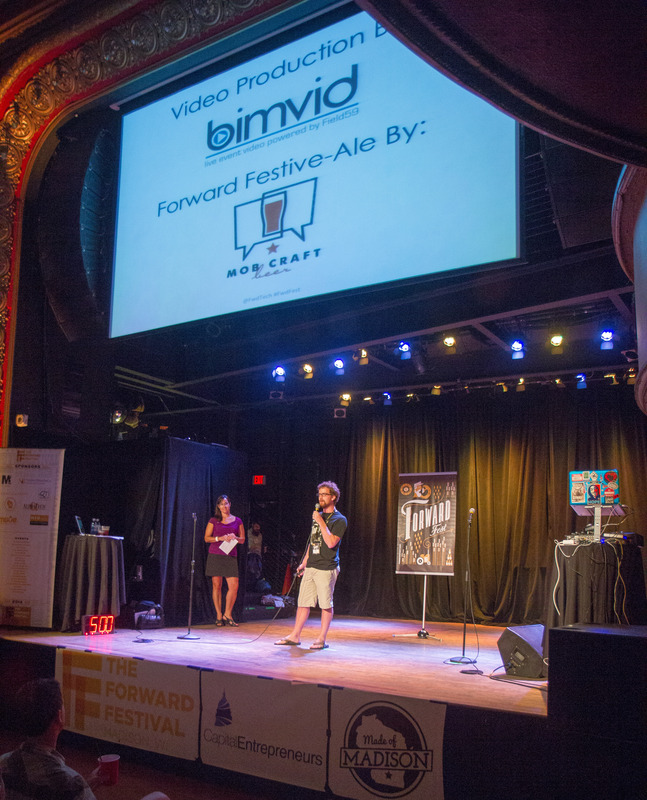 MobCraft launched the state’s first equity crowdfunding campaign, was rated as the Best New Wisconsin Brewer, and medaled at the Great American Beer Festival. The growing healthtech startup sector continued to gain attention, and included the launch of Branch2 and Redox. The Madison startup community continued to draw increased attention and recognition from around the country. It was rated as one of the top cities for young entrepreneurs and recognized as having one of the fastest growing information technology sectors in the country. The Wayward Nation film crew stopped by Sector67 and PerBlue in search of the “New American Dream”, and The Startup TV Show filmed at Murfie, Fishidy, and MobCraft. The Rise of the Rest Road Trip kicked off their tour in Madison and traveled to top startup communities in the heart of the country. A whole support network of accelerators, workspaces, and organizations has become more established and continued to grow. gener8tor was rated as one of the top accelerators in the country, completed their 5th class of companies, and now has 28 alumni companies which have raised nearly $35M in follow-on funding. The Madworks Seed Accelerator launched and graduated their first 2 classes of 21 young companies. Sector67 expanded and was declared the most interesting makerspace in the country by Make Magazine. 100state’s community of creators grew to nearly 160 members, moved to a larger space, and started new initiatives like 100arts. The Doyenne Group set off on their mission to make Madison one of the best places in the country for women entrepreneurs, and hosted a number of events including 3 weekend long retreats for women-led startups. Capital Entrepreneurs celebrated its 5th anniversary and saw membership increase by 30% to encompass 350 area entrepreneurs. There were 1,500 hours of entrepreneurial events and programming in 2014, and an established set of anchor events that Capital Entrepreneurs organizes or collaborates on has emerged. 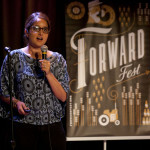 Headlining the ecosystem was the 8-day long Forward Festival, which celebrated its 5th year and drew 2,500 attendees. 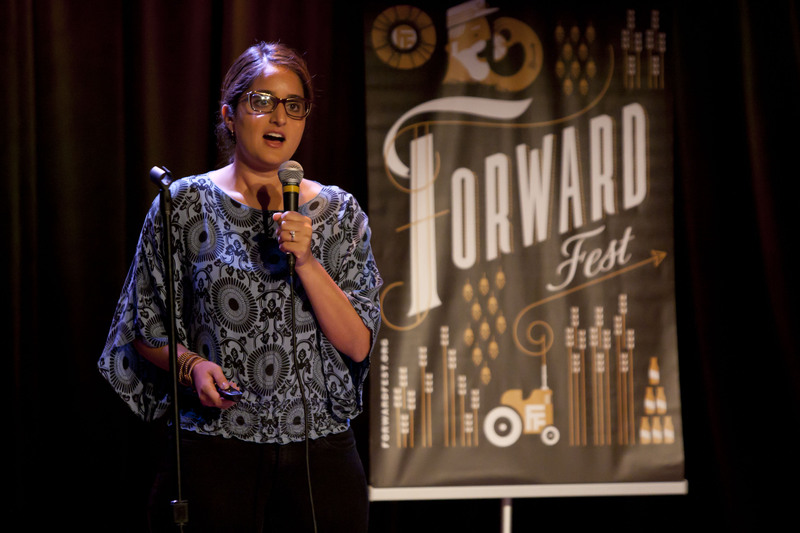 It was highlighted by events like the Forward Technology Conference, Badger Startup Summit, Forward Festival Startup Showcase, and new events like the Edible Startup Summit that marked the expansion of the festival beyond just tech and now includes food entrepreneurs. 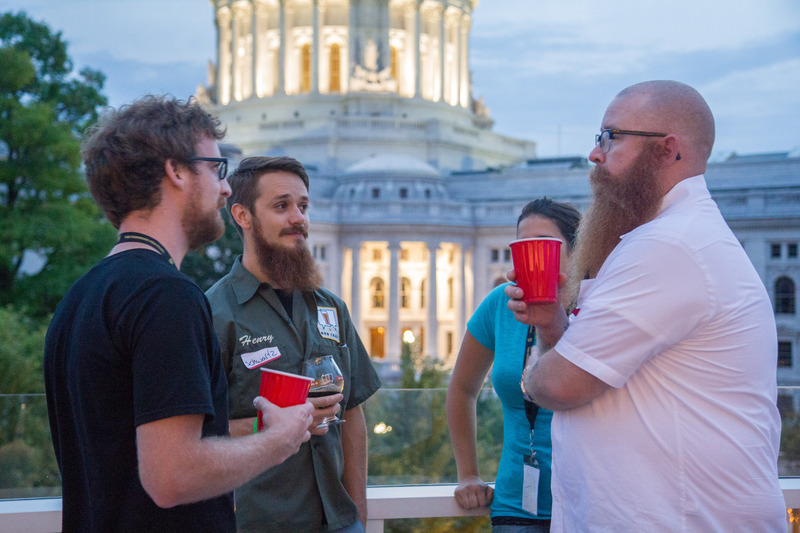 Build Madison celebrated its 5th anniversary, and Startup Weekend returned for its 3rd annual event. The 2nd annual Madison Startup Fair connected UW students on campus to startups, and the Spring Tech Kickoff nearly doubled in size in its second year. Madison Magazine’s M List returned and recognized 35 food entrepreneurs and innovators, and a number of startup founders were represented in the InBusiness 40 Under 40 list. 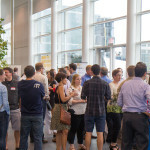 Other events also returned including OnRamp Wisconsin, the Governor’s Business Plan Competition, Wisconsin Early Stage Symposium, Wisconsin Entrepreneurs’ Conference, and 3 Day Startup. 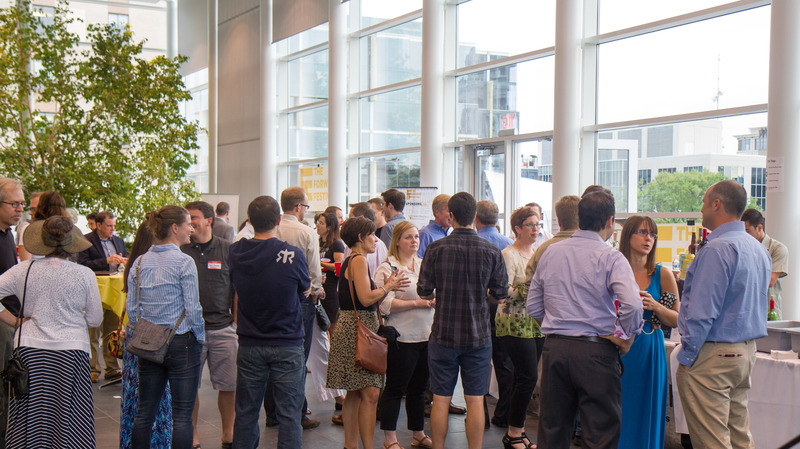 The entrepreneurial community also welcomed some great new events in 2014. The Greater Madison Chamber of Commerce hosted the inaugural Pressure Chamber event, which brought a select group of startups to pitch at prominent VC firms in Silicon Valley. Capital Entrepreneurs hosted a joint event with Startup Milwaukee to help bridge the Madison and Milwaukee entrepreneurial communities. There was a CryptoCurrency Hackathon at Madworks, and local chapters of 1 Million Cups and Startup Grind formed. As the ecosystem has developed, we have started to see more M&A related activity. In 2014, this included MdotLab’s acquisition by comScore, Hopster’s acquisition by Inmar, Spill’s merger with MeToo, and Vidmaker’s acquisition by YouTube. There have been big moves in establishing long term entrepreneurial infrastructure that will elevate the Madison startup ecosystem to the next level. After nearly 2 years of planning, StartingBlock Madison accomplished some significant milestones in 2014. The City of Madison committed $1.5M to the project, and American Family Insurance announced that it would be a significant investor. A site was secured in the emerging Capitol East District downtown, a development partnership was formed, and construction of the entrepreneurial hub is expected to begin in mid-2015. The Madison startup community has developed significantly over the last 5 years, and is now approaching a critical tipping point. The success seen so far has been a result of a grassroots ecosystem that was built up by passionate entrepreneurs who wanted to make Madison a great place for startups. This type of commitment to constantly improving the ecosystem from everyone involved is critical going forward, and will be necessary to take it to the next level. Between the successful startups emerging, their increasing impact on the city, and the well rounded support ecosystem that has formed, something meaningful is definitely happening in Madison. Cheers to an exciting 2015! Be sure to also check out individual company recaps for 2014 here, as well as past startup scene recaps from 2013, 2012, 2011, and 2010. * Employment data is sourced from a voluntary self reporting survey of CE startup companies, with 52 companies reporting. Because of the voluntary nature, these employment numbers are conservative representations of the actual employment impact of all startups. Funding amounts listed are also based on the CE survey data, in combination with other public sources. For the sake of better representing a clear cohort, aggregate funding reported for “tech startups” here does not include biotech companies. The year of 2014 was a year of big moves for PerBlue. We started out the year by moving to a brand new office. After 3 years in what was intended to be a “temporary” office space, we decided it was time for a change up. In March we moved back downtown and into a great office that is a much better fit for our culture and in a great neighborhood. This marks our fifth office move over the history of the company, and we’ve come a long way since the early days working out of Justin’s college apartment. It’s great to be in our new space, and we’re excited to be located in the vibrant Capitol East District in downtown Madison. Check out more pictures from our office move on Facebook here. In May we completed a $3M funding round which was led by Lightbank out of Chicago. This was Lightbankâ€™s first investment in a Wisconsin based company, and we are excited to have them as a partner in our adventure. We were awarded the coveted â€œTop Developerâ€ distinction from Google, and we released our newest game Titan Empires to the world in October. It quickly surpassed 1 million players within just 3 weeks of its launch, and climbed the app store rankings charts to be a Top 25 Free Game in the US. Titan Empires was even â€œfeaturedâ€ front and center on the homescreen of the Google Play Store for a week. Greed for Glory also received a Google feature, and continues to have a strong and active player base. To celebrate the launch of Titan Empires, we partnered with our friends at MobCraft who brewed us our very own beer (and let us help) – the PerBrew Apollo Ale. It was quite delicious, and was even featured in The Cap Times. Madisonâ€™s role as an emerging tech and gaming hub continued to increase, and PerBlue continued to play an important role in that. We have a strong (and growing) team, and are excited to continue to build great mid-core mobile games to share with the world. Cheers to 2015! EatStreet had one thing in mind for 2014: more growth. We set our sights on growing our already talented team, our innovative product offering, and lastly our restaurant clientele. While it was a somewhat terrifying goal, we were determined to grow our restaurant list from 2,500 to 10,000 by yearâ€™s end. To fund our aggressive growth goals, we closed a $10M Series B investment with funds coming locally from 4490 Ventures and SWIB. This investment allowed us to bring on a plethora of new, exciting talent varying from programmers for continued product innovation to sales professionals needed to grow our restaurant list. And grow our restaurant list they did. By mid summer we had already hit our previously stated goal of finishing 2014 with 10,000 restaurants. It was clear we needed to readjust and set a higher goal of 15,000. Now sitting on one of the largest restaurant lists in the industry, we immediately became an attractive partner in the online food ordering space. Our programmers got to work building out integrations for these partners and this past summer we announced our partnership with Yelp. The partnership now allows their customers to place a delivery or pickup order without needing to leave their site or app. However, our partnerships didnâ€™t stop there. Following our partnership with Yelp, we also launched a partnership with SinglePlatform, a menu provider for many leading search engines. With an expanded product team, we found ourselves able to bite off more initiatives than possible in 2013. In addition to building out integrations for these partnerships, our product team managed to completely revamp the Android and iPhone apps launched in 2013. Early on it became evident that this was a wise move and we saw our transaction volume shift to nearly 50% mobile throughout the year. The product team also launched a restaurant-specific loyalty program. Last but not least, they completely overhauled our web offering while moving to Angular JS and a whole new design and feel. However, the biggest achievement of 2014 was building the team of EatStreeters with whom we will embark into 2015. For perspective, we kicked off 2014 with just 20 employees. Today, our office is filled with 80 talented, energetic, and eager minds looking to bring fast, easy, and enjoyable online food ordering to hungry diners all across America. Make sure to stay tuned in 2015 for more exciting news by following us on Facebook, Twitter, and our blog. 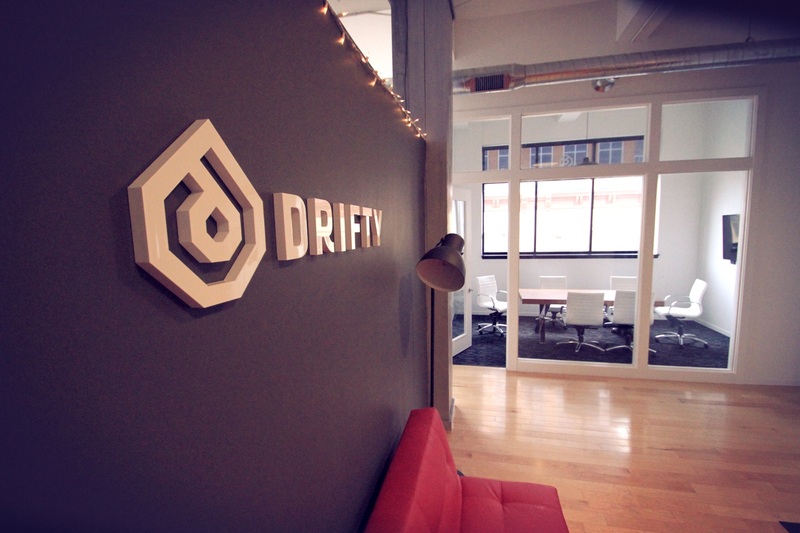 It’s been a big year over at Drifty, creators of the popular and fast-growing open source mobile development SDK Ionic. Late last year our company evolved from just building some cool developer tools servicing over 250,000 developers, into a full-blown platform company focused on enabling more people to build top-quality mobile apps using web technologies. We started working on Ionic late last year, and released the first version at the end of 2013. The initial reaction blew us away, and the project quickly became one of the top 50 most popular open source projects in the world, with Ionic apps reaching the top lists on the Apple App Store and Google Play store and gaining millions of downloads. We’ve also been fortunate to work with some great partners, like Salesforce and Google. With our shift in strategy, we decided to raise some money to focus on reaching as many developers as possible with Ionic. 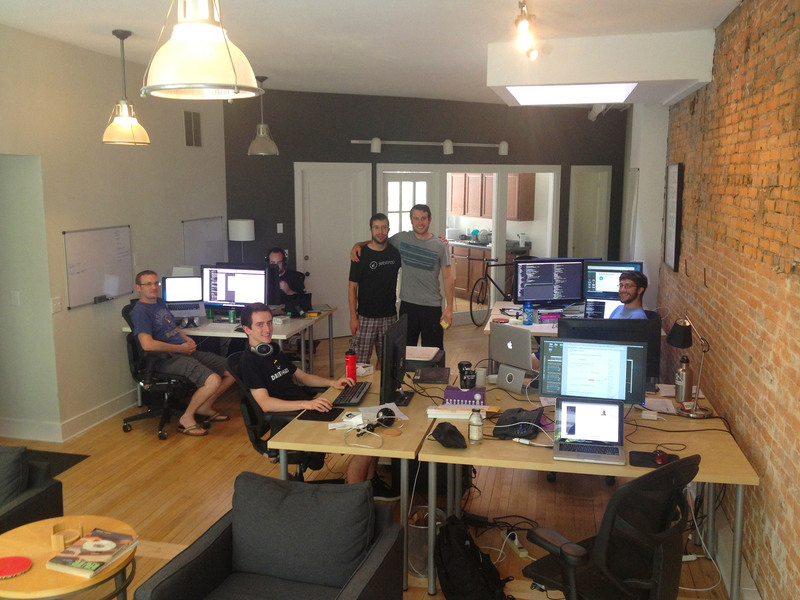 We closed a $1M seed round in February from Arthur Ventures, grew the team to 15, and got back to work. In August 2014 we said goodbye to our humble office on King St where it all started and moved into an office 4x the size, right above the Merchant off the square. This office gives us enough room to grow from 15 people today up to 30, and lets us enjoy some great cocktails after work. We even have a private elevator right into Merchant which always freaks the other patrons out. Today over 320,000 apps have been built with Ionic, and every month 500k unique developers visit our site to try out our products and to get help from our large community of developers. But this is just the beginning. We see a future where Ionic can power the next generation of apps built once to run on every phone in the world, and provide reliable infrastructure and services to scale those apps to billions of users. In early 2015 we will be releasing the first taste of our vision for this complete mobile development platform, which we are calling Ionic.io. Already over 50,000 developers are signed up for the beta. We are so proud to call Madison home, and like to think of ourselves as proof that companies once thought the sole realm of Silicon Valley can not only grow here, but compete and win over their valley competitors. We’ve been fortunate to receive help and support from the Madison community, which helped us find our first two investors, and hire some super talented people. The talent is here, the funding is here, and the lifestyle is here. We just need to show the world what we are capable of. *Note: Our full 2014 update can be found on our blog. 365 days sounds like a pretty long time, but for a group of people that moves as fast as we do, it quickly flew by. Looking over the past year, Ten Forward Consulting has worked to strengthen our stance in the software consulting space with the help of our awesome clients, team members, and URP. Weâ€™ve had a lot of fun dipping our toes in different industries while working with each of our unique clients. Mobile Doorman, a residency communication app based in Chicago, IL, had us operating with property owners all over the nation while clients like Wellbe and UWLE kept us busy locally, right here in Madison, WI. Although we love working with our clients, we canâ€™t help but also pay just a little attention to our own laundry list of software ideas. Cloud Five is an ongoing internal project that provides a more coherent alternative to the familiar programs, Eclipse or Xcode. It allows developers to simplify the unavoidable workload that comes with building a mobile HTML5-based app. More recently, we launched a professional document creation tool, Handshake, to help other small businesses like us become more efficient in their proposal writing processes. In order to ensure we properly execute both external and internal projects, our team has grown in size! We hired on Zach, a full-time developer and Sophia, our Office Manager. Both joined us at our coworking location, Madworks Coworking, in University Research Park (URP). We love being surrounded by a room of diverse, busy minds (and beer!). As a whole, 2014 was a year for growth. We took on bigger clients than we had in the past, expanded our geographical client map, added members to our team, and upgraded from a mini fridge of beer bottles to a full-blown kegerator. We are thankful for the many experiences of 2014 and are ready and excited for those to come in 2015. In 2014, Digsite went from a great idea to a real product with paying customers. Digsite officially launched in June 2014, based on an idea that had been brewing for a couple of years. Digsite CEO Monika Wingate was running a boutique brand consulting firm. Her clients wanted the kind of in-depth insights they got from focus groups, but were looking for a more cost- and time-effective way to get them. Monika looked for an online solution, and realized that there was a gap in the market. Social media sites were great for creating community discussions, but lacked privacy, security and research tools. At the other end of the spectrum, enterprise community software offered a platform, but one that only worked if you had lots of time, money and IT expertise. With experience with and input from real customers, Digsite became a reality. Digsite transforms the focus group into a social media-style community thatâ€™s as fun and easy as Facebook. Businesses can sign up for a single community that runs up to 30 days, or buy an annual license that gives them unlimited communities for a year. And they are! Our customers include Sub-Zero|Wolf, Organic Valley, Fiskars, Madison College and more. In October of 2014, we introduced Digsite to research consultants at an industry event. These consultants are important, both as influencers as well as users on behalf of their clients. The response was enthusiastic! Weâ€™ve since trained more than 25 research consultants, equipping them to introduce Digsite to their clients (and to support Digsite customer companies). Weâ€™ve already seen sales as a result, with much more to come in 2015. We have big plans for 2015, and we are putting together the team to make them happen. Jane Boutelle joined Monika Wingate as CMO/co-founder in June of 2014. More recently, Chris Patterson came on as Director of Application Development. We also have a talented team of advisors working with us. Look for more announcements in the near future. Thereâ€™s much in store for Digsite in 2015. We hope youâ€™ll follow along on Facebook, Twitter and our blog. 2014 flew by! Murfie continued to grow our member base and inventory numbers, hitting a milestone of one-half million CDs under management in our warehouse. We had some awesome and unexpected media mentions including The Huffington Post, Cracked, USA Today, Inc., and CNET. A crew from The Start Up TV Show came to the office to film our operations and feature us in an episode. This year, Murfie integrated with Samsung Shape and NAD Bluesound, enabling members to stream in mp3 and lossless FLAC format on those devices. We announced that you can buy CDs from third-party retailers and ship them right to your Murfie collection, helping us become the digital shelf in the cloud for your physical collection. We also have been improving the website UI and have an improved version of the Web Player in beta. Our vinyl ripping service is officially in action and growing. Weâ€™re past the planning phase of our service for DVDs, and are putting the framework together for a launch. Pay us a visit at murfie.com! With 2014 quickly coming to an end, and no work shortage in sight, the staff at Hardin Design & Development wanted to take a moment to review all that weâ€™ve accomplished. We experienced another year of growth and are excited to have impressive new programmers in the office. One of the things that makes Hardin Design & Development such a dynamic place to work is our staff. Without their superior talent, teamwork and tenacity, we wouldnâ€™t be the company we are today. We had a great time attending Madworks CryptoÂ­Currency Hackathon in February and Forward Tech Festival in September. We also had the opportunity to connect with future developers and designers at the Madison Area Computer Science Job Fair. We also hosted a discussion about technology and diversity in the tech world with YWCA Madisonâ€™s YWeb Career Academy in December. 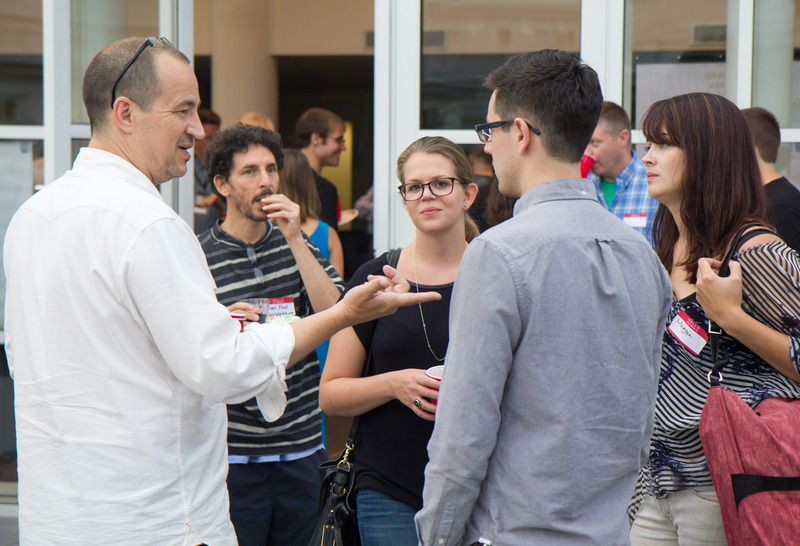 As members of the technology and startup community, we are always seeking out avenues to increase the publicâ€™s awareness of the tech scene and to help other Madison startups. Our developers have been working hard on some exciting projects this year including the launch of a dozen iPhone and Android applications, a software product focused on residential life management for university campuses, and new releases of our corporate real estate dashboard. Weâ€™re looking forward to all the fun projects we have in the works for the coming year! As we look towards 2015, Hardin Design and Development is enthusiastic to continue our passion for creating awesome mobile and web applications. If next year is anything like this year, it will mean mastering new technologies, growing our development team, enhancing our workflows and reinforcing our established partnerships while creating new ones. OpenHomes has had a great 2014, starting off the year by closing a successful seed investment round. This year, OpenHomes is active in three MLS regions, covering all of Southern Wisconsin and Door County. In the fall, we were one of 100 startups globally to be selected to pitch at the PITCH ALPHA competition at Web Summit in Dublin, Ireland, Europe’s largest tech conference. We also were selected to pitch at the investor track at the 2014 Wisconsin Early Stage Symposium. Perhaps most exciting, we hired a new CTO, Josh Treichel; Josh was previously a software engineer at Networked Insights. This year, OpenHomes was featured in Madison Magazine and the Wisconsin State Journal, among many other press outlets. Keep in touch with us in 2015 on Facebook, Twitter, and Pinterest. 2014 was a year filled with activity and strong growth at FillMyRecipe. During this year, FillMyRecipe experienced growth in revenue and units sold, while expanding its market and introducing a new product line. Our companyâ€™s participation at trade shows and in-store demos attracted many new and repeat customers. We participated at various events and presented pitches that increased awareness about the company and its offerings. We were also featured in local magazines and blogs. We saw an increase of 83% in sales volume and 94% rise in revenues. The number of retailers carrying our products more than doubled during 2014, contributing to growth in sales. We introduced our organic line of products at Whole Foods Market in March. This was well received by customers, as evidenced by sales numbers and response to in-store demos. The four products in our top-selling organic line have accounted for 27% of revenues this year. Participation at regional trade shows presented us with an opportunity to show case our products and create awareness. We took part in two trade shows and the attendees lined up at our booth to taste the recipes we sampled. Sales at the trade shows were brisk and the concept of our recipe kits won accolades from many attendees. We had several opportunities to participate in summits and pitch our business. 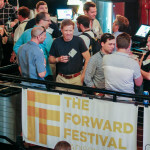 We attended Edible Startup Summit, Forward Technology Fest, and Badger Summit. We were selected to pitch at the 5x5x5 event organized by Doyenne group and we appreciated this opportunity to compete for a $5000 grant. These events provided a great opportunity to network with other entrepreneurs and learn from them. FillMyRecipe was featured in Madison Magazine and BRAVA. In addition, our products were reviewed in the following blogs â€“ Wisconsin From Scratch, MixItUp, and Things I Made Today. In Fall of 2014, we engaged a focus group to try out six of our recipes and provide feedback. We were very fortunate to receive constructive and candid feedback. We are implementing these suggestions in our expansion program, which is scheduled to kick-in next year. Most notable event this year was our attendance at the Doyenne Group retreat. We were fortunate to meet many mentors and experienced entrepreneurs during the retreat. They provided a whole new perspective and made us think out of the box. Since then, we have been looking at our business differently, which has opened up new opportunities for us. Based on our experience at the retreat and feedback from the focus group, we have chalked out an ambitious growth plan for our company in the next couple of years. Our growth plan includes a number of changes to reposition our brand, revamp the website, redesign our packaging and increase our marketing channels to reach a larger customer base. We are extremely excited about our future plans and are confident that 2015 will be a year of stellar growth. MobCraft is the worldâ€™s first crowdsourced brewery, turning ideas into beer. 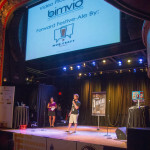 Craft beer fans from around the United States submit ideas for beer recipes, which are voted upon, on a monthly basis. The winning beer is brewed packaged and can be shipped to customers in 40 states. Check out the past winners HERE. In January 2014 MobCraft was named the Top New Brewer of the year by the global beer rating website www.ratebeer.com. Every year ratebeerâ€™s beer reviewers from around the globe release the best of beer list where MobCraft was featured. PBSâ€™s Show Startup paid a visit to the brewery in April to film an episode. The show will air across the US and can be viewed online in January. On the business side of things MobCraft reached revenue positive in October, has secured over $350K in financing, brewed 40 batches and has grown to over 80 retail accounts. MobCraft participated in the Governors Business Plan Competition which consisted of a 250 word, 1000 word, 25 page business plan and 7 minute presentation spanning January-July. MobCraft took first place in advanced manufacturing in the competition. October brought MobCraft to the Great American Beer Festival, where 5500 beers were judged and 60,000 attendees sampled beers from over 700 breweries. MobCraft won a silver medal in the coffee beer category out of 109 entries. Shortly after, MobCraft was a finalist in the Rise of the Rest competition, where although they didn’t secure financing, MobCraft Founder Henry Schwartz was invited by Steve Case to attend the Forbes Under 30 Summit. Update: MobCraft is also the first company to raise funds through the new equity crowdfunding law in Wisconsin. Their campaign is in the final stretch, but is still open to investments for a few more days from WI residents. More info is here. Verdanterra launched in February and 11 months later, we continue to grow and develop exciting new plans for 2015 and beyond. From our successful 2014 start, we envision soon having an established and well-respected brand in the environmental consulting world. We focus on providing regulatory guidance for developers, owners, and operators of energy infrastructure projects. We have created a workplace where collaboration, creativity, expertise, and efficiency contribute to meeting our clientâ€™s needs. We have some big new ideas on how we might accomplish these goals, and we expect 2015 will see substantial progress in achieving these targets. Our initial few months was a little scattered â€“ frantic even â€“ but thanks to a successful seed capital round, we hit the ground running in spring with a solid financial foundation that allowed us to pursue some exciting projects. Our work capacity expanded quickly and, at the close of our first year, Verdanterra has provided strategic regulatory, cultural resource, and biological advice on energy infrastructure projects located from our beloved Wisconsin to Florida and from North Dakota to Maine. The more complex the project, the better we like it â€“ and the more our staff talents can really shine and assist clients with thorny regulatory issues. Lead by our Managing Director Jonathan Ryan, we created the workplace and culture we sought, and we are poised to grow significantly in 2015. Two short-term goals are key: become more engaged in local organizations â€“ like Capital Entrepreneurs â€“ and begin working on community-benefitting projects in partnership with non-profits, land trusts, and other public entities. We continued to build many great relationships in 2014 as we did the year before. 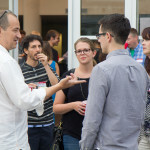 WisBusiness.com now syndicates our news, and the Greater Madison Chamber of Commerce is developing a startups events calendar for us. We also enjoyed being a part of the startup ecosystem. 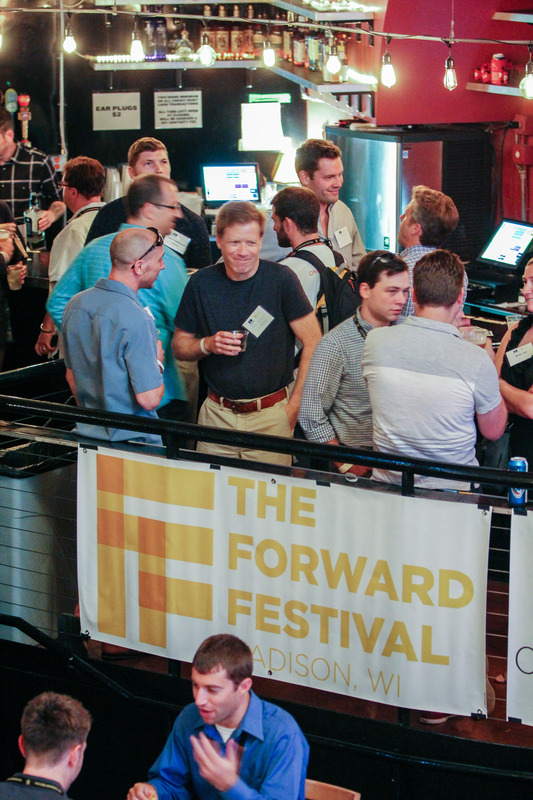 We were again active participants in events hosted by gener8tor, the Wisconsin Technology Council, Capital Entrepreneurs, Forward Festival, Rise of the Rest and Madworks Coworking. In October, our editor-in-chief spoke about the â€œTop Five Killer Mistakes Entrepreneurs Makeâ€ at the American Family Insurance DreamBank. In December, Madison College invited us and other people involved in the cityâ€™s startup scene to discuss how the college can strengthen its role with the community. A fun moment for Madison Startups occurred when the Huffington Post mentioned our startup database. We also received referral traffic from other media such as Reddit, Xconomy, the Milwaukee Journal Sentinel and The Capital Times. In 2014, we wrote feature stories on many startups, including 900dpi, 32auctions, Fishidy and Flux. We also covered Hospterâ€™s acquisition, AmFamâ€™s investment in StartingBlock Madison and the closing of Nexxt. For 2015, we hope to get the events calendar up-and-running, add a jobs board and enhance our startups database. Preston Austin, Kelly Hiser, and Matt Wheeler co-founded Rabble in August 2014, but our history begins nearly a year earlier. Beginning in the fall of 2013, Preston and Kelly worked with Murfie and the Madison Public Library to create the Yahara Music Library, an online collection of local music freely available the library’s cardholders. We founded Rabble to make it possible for all libraries to host collections like YaharaMusic.org. In the fall, we began developing our MUSICat software, which expands the capacity of Yahara’s software. We’re working out of Horizon, a location that allows us to continue to consult with the folks at Murfie. Just a month after our start, Xconomy ran a great article on Rabble, with sound bites from both Preston and Kelly. In December, we finalized a partnership with the Edmonton Public Library, Library Journal’s 2014 Library of the Year. Together, we’re preparing the library’s Capital City Records project for a spring 2015 launch. Capital City Records will be both a collection of local music and a record of the city’s musical past. We’re also continuing to work with the forward-thinking Madison Public Library to enhance YaharaMusic.org. Over the next year, Rabble will partner with about a dozen libraries to build local music collections and continue to develop MUSICat in preparation for the open release of its source code and its broad availability as a Software as a Service in late 2015. We’re looking forward to all kinds of other fun things in the new year, including the American Library Association’s Midwinter Conference and a partnership with the UW-Madison Center for the Humanities. 2014 Capital Entrepreneurs Recap Series: This is Day 1 of our multi-day series of posts from Capital Entrepreneurs companies highlighting their year in review. As hired guns, we measure success by profitably executing every project and having every customer be reference-worthy after successful release. For over two years now, we have achieved a 100% success rate on those metrics. We are very proud of that, and grateful to our staff and our customers. The foundation of our business is built with established enterprises, but we like to highlight entrepreneurial endeavors that bring new products to the world for the annual CE list. Plus, these tend to be the most creative and fun projects, that allow us to push what is possible. For the next year, we look forward to challenging the standards for design with the new Apple and Android products and operating systems. We have 3 new health/medical platform releases coming in Q1 to get the new year started, and we are already signed on to release 8 new platforms in 2015. Stay tuned to our website to learn more about platforms and apps that are built for the world, right here in Madison. To bring us into 2015, weâ€™ll first be looking back at 2014. 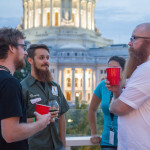 A lot of great things happened within the Capital Entrepreneurs community and the Madison Startup Scene and weâ€™d like to share them. Weâ€™ll be kicking off with a series of posts from Capital Entrepreneurs companies summarizing their year in review, and weâ€™ll cap it off with a full 2014 Madison Startup Scene Recap post. The daily series will start on Monday, January 5. Stay tuned!